36mm Heading Shaft for Car Wheel Balacers. 36mm Threaded Heading Shaft for Car Wheel Balancers just one of equipment4garages great range of Tyre Balancing Accessories. Suitable for use with a 36mm x3mm thread pitch locking wing nut. Fits balancers supplied by E4G Equipment4Garages, Wilsons and many other makes. The price is for one shaft . 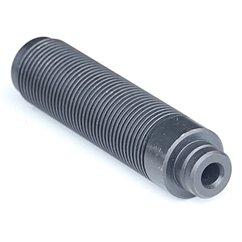 36mm threaded shaft suitable for use with a 36mm x3mm thread pitch locking wing nut. 36mm Diameter x 155mm Length x 3mm thread pitch. E4G B-P 01.06 36mmx3mm Threaded Heading Shaft for Car Wheel ..